Archie Comics Offers a First Look At Free Comic Book Day 2016 Titles! 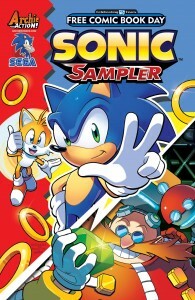 Get in on the ground floor of the critically acclaimed ARCHIE relaunch from Mark Waid and Fiona Staples and discover the epic characters and story lines beyond the popular SEGA games in SONIC THE HEDGEHOG and SONIC UNIVERSE with this year’s Free Comic Book Day offerings from Archie Comics! The first Saturday in May is Free Comic Book Day across North America and the world – a day where participating comic shops give away comic books to anyone coming into their stores. Archie Comics – a Gold Sponsor of the event – and will have two offerings: FCBD 2016 ARCHIE #1 and FCBD 2016 SONIC SAMPLER! Take a first look inside these great jumping-on points and find out why everyone is talking about Archie Comics! 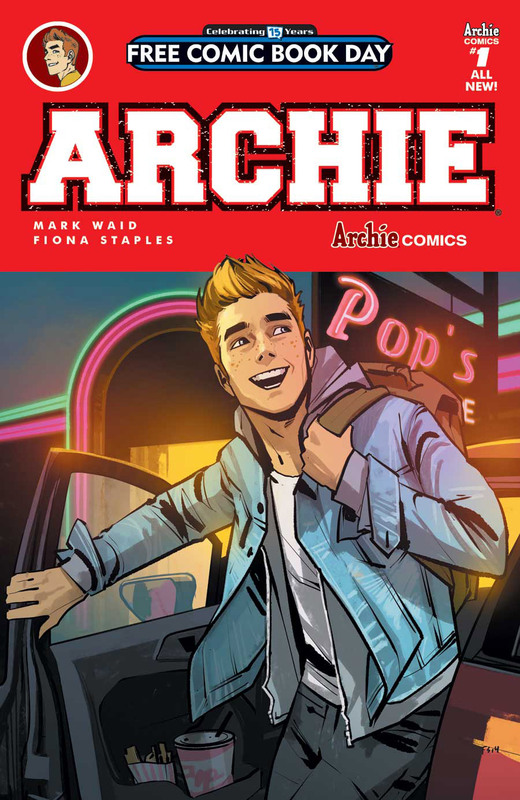 Comic superstars Mark Waid and Fiona Staples reimagine an icon in this special FCBD reprint of the best-selling first issue of Archie! Change has come to Riverdale in the can’t-miss kick-off to Archie’s new ongoing series! As the new school year approaches, you’d think Archie Andrews would be looking forward to classes and fun – but nothing is as it seems in the little town of Riverdale. Is this a one-off, or a sign of bigger changes awaiting America’s favorite teens… and the entire town? Find out in this exciting, remarkable and critically acclaimed first issue! Find a participating comic book store near you using the Comic Shop Locator Service and remember to visit on Saturday, May 7th! And stay tuned to the official Archie Comics website as we get closer to Free Comic Book Day for more news and announcements!